The scores for the tune of Roads can be previewed further down. 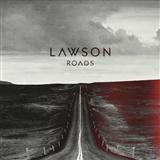 The composer of Roads is Lawson. Click on our preview button to see the first page of Roads . If we offer the composition for a number of different instruments, you can switch to see the available arrangement for only one instrument, or all instruments. To do this change the selection in the drop down box marked "All Instruments". We appreciate your opinions, so if you have a moment to share your thoughts on this Lawson song or arrangement, or any other song for that matter, then please leave a little review in the box marked Comments. Make sure you are logged in. Did you dig this piece of music? Would you like others to know how much you enjoyed playing this track? Then simply click on the share button and you can select from a number sharing options. Our catalogue features 2 arrangements of Roads, available for purchase for 4 instruments.